See this fix, if Night light not working in Windows 10. Night light feature reduces blue color emitted from system screen and thus show warmer colors. If you prefer to work more on your Windows 10 in night time, Night light feature might be useful for you. This feature helps you to reduce intensity of blue color emitted from system screen. As a result of this, the screen show warmers colors that are good for your eyes. Microsoft added Night light feature to Windows 10 with build 15019 (for Windows Insiders) and Version 1703 (for stable release users). You can configure this feature at Settings app > System > Display > Night light > Night light settings. In case if you’re unable to configure Night light feature or if you already configured and the feature is not working, this article is for you. According to Microsoft, Night light feature depends on your system’s graphics driver to adjust the color temperature to reduce the blue light. If the video card driver isn’t compatible with your system, there’s a possibility that the feature will not work correctly. 1. Make sure you’re not using Basic Display Driver graphics drivers, because this feature won’t work on them. 2. Update your display drivers to latest one. 3. Install latest Windows Updates available to you. If you still have the issue, try FIX 2 mentioned below to reset Night Light feature. 3. Under DefaultAccount registry key, right click over $$windows.data.bluelightreduction.bluelightreductionstate sub-key and select Export to backup it. Again do a right click on same sub-key and select Delete. 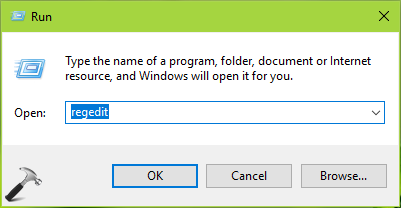 In the below show confirmation prompt, select Yes.